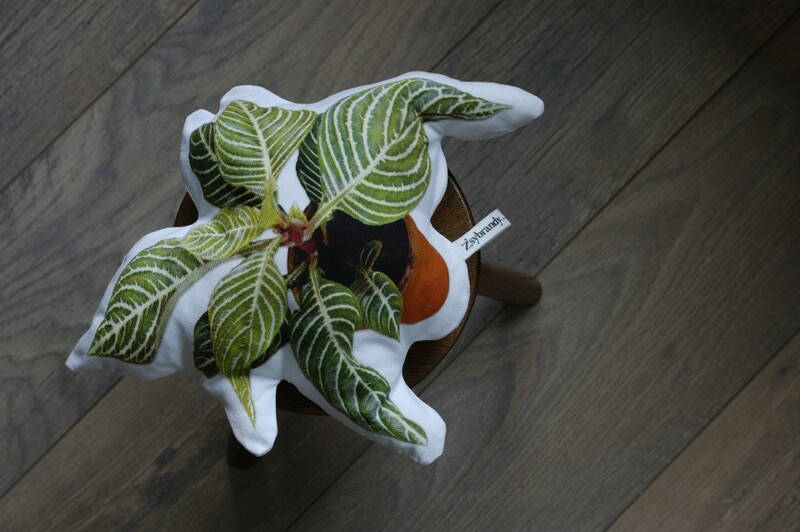 This cushion, decorated with a plant print, refers to the artificiality and commodification of nature in our daily environment. 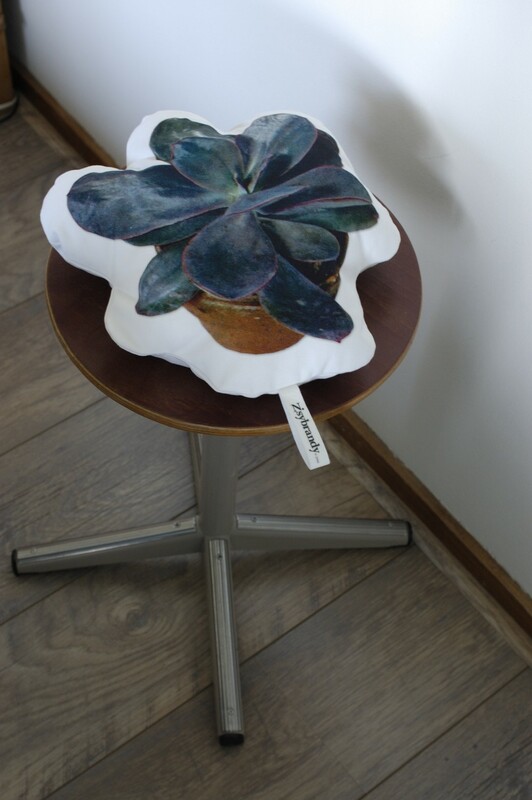 It asks the subtle question whether artificial plants still need to look like real ones and if our understanding of ‘organic’ will ever be valid again. 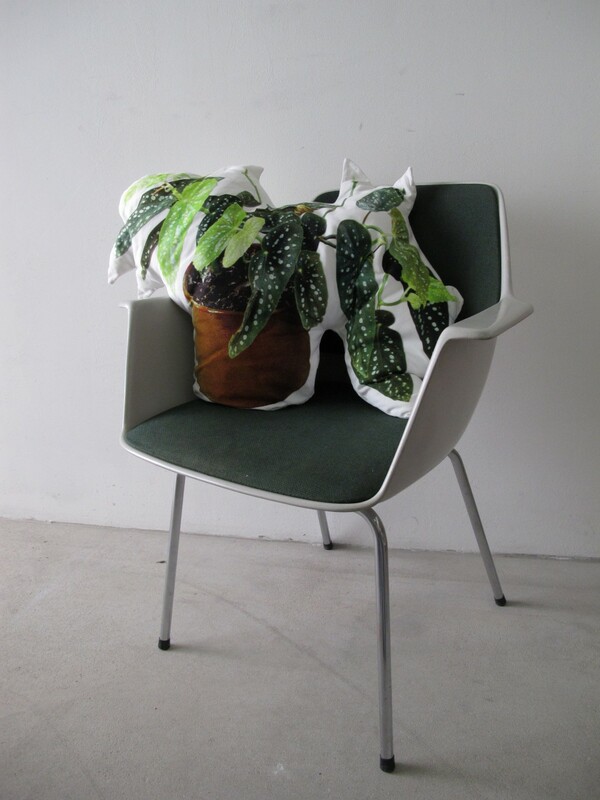 Simultaneously, as a cushion, it offers us the option to embrace our power over nature.